Fleming Island, Florida, is an unincorporated community situated in Clay County. It is 15-miles southwest of Jacksonville, on the western bank of the St. John's River. Today, Fleming Island is primarily a bedroom community with major planned developments like Pace Island, Eagle Harbor, and Fleming Island Plantation stimulating growth. 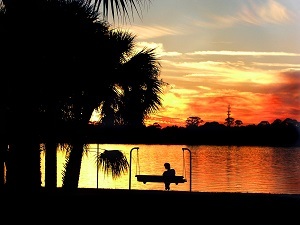 Fleming Island is the second most affluent community in the Jacksonville area, following Ponte Vedra Beach. What used to be nothing more than wetlands is today a thriving community of approximately 30,000 individuals. The area that is today called Fleming Island was basically uninhabited in 1942. As a consequence, the United States Navy constructed four runways here and designated it "NOLF Fleming Island," an auxiliary airfield to the major Naval Air Station at Jacksonville. About half-a-century later, in the 1990s, the runways were demolished to make way for burgeoning residential development. The Black Creek Ravines Conservation Area includes elevations of up to 90-feet above sea level in the sandhills along its southern border. This large area offers activities as diverse as horseback riding, canoeing, boating, and fishing on Black Creek. A variety of protected species are harbored within the confines of he conservation area as well. In 2000, the Golf Club at Fleming Island opened. This championship quality layout is open to the public and it offers memberships as well. A first-rate practice facility includes five target greens, a putting green, and a sand bunker. 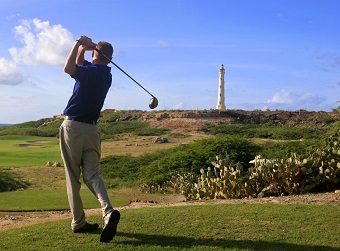 The course has received numerous accolades including being named as the fifth the best new affordable public golf course in the country by Golf Digest in 2002. This par 71, 6800-yard layout was designed by Bobby Weed. The front nine is a links-style layout, and the back nine is carved out of dense stands of timber, thus offering tranquility and solitude. Residents can head to nearby Green Cove Springs for the annual "Riverfest." This festival maybe one of the most-enjoyed Memorial Day observances in the entire Jacksonville area. There is an 8K run, and the Jacksonville Symphony performs at the "Concert on the Green." At dusk, the fireworks reflected in the St. John's River are memorable indeed. Given the history of the Fleming Island area, most Fleming Island FL real estate is of relatively recent vintage. Many of the homes for sale in Fleming Island are located in the various master-planned communities in the area. 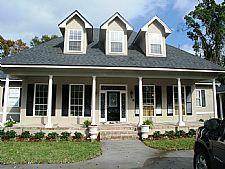 Many of these Fleming Island FL homes are situated on well-landscaped lots that feature mature trees. A younger Fleming Island home buyer looking for a starter home will find some good quality options here. Numerous Fleming Island homes, although of newer construction, are still priced in the very low six figures. The Fleming Island real estate on the market also includes large five or six bedroom homes with over 4000 sq-ft of living space. Those that invest in Fleming Island properties enjoy the open spaces and multiple recreational opportunities in the area while still being situated close to nearby Jacksonville. The services of a good professional real estate agent can be most helpful, since there are a couple of hundred Fleming Island homes for sale at any one time. The real estate in Fleming Island also includes condominiums.